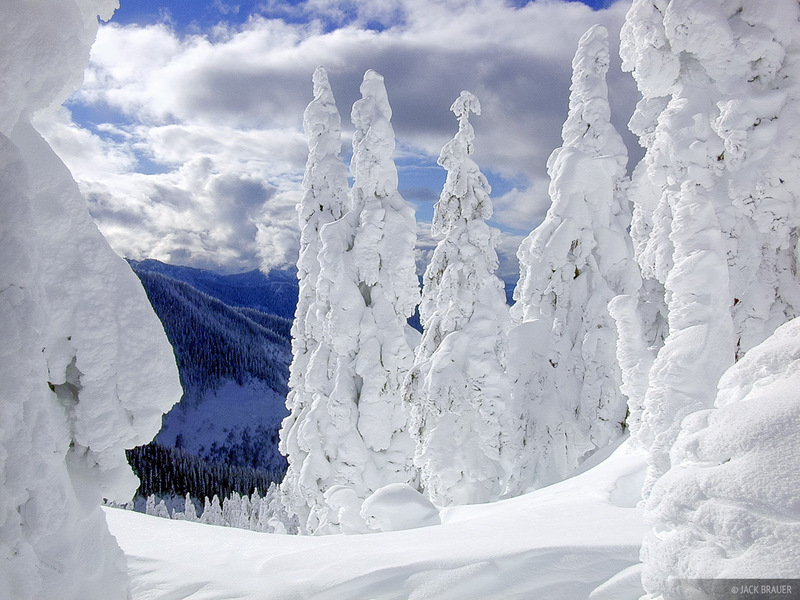 snow smothered trees after a 100 inch dump - January. Photo © copyright by Jack Brauer. 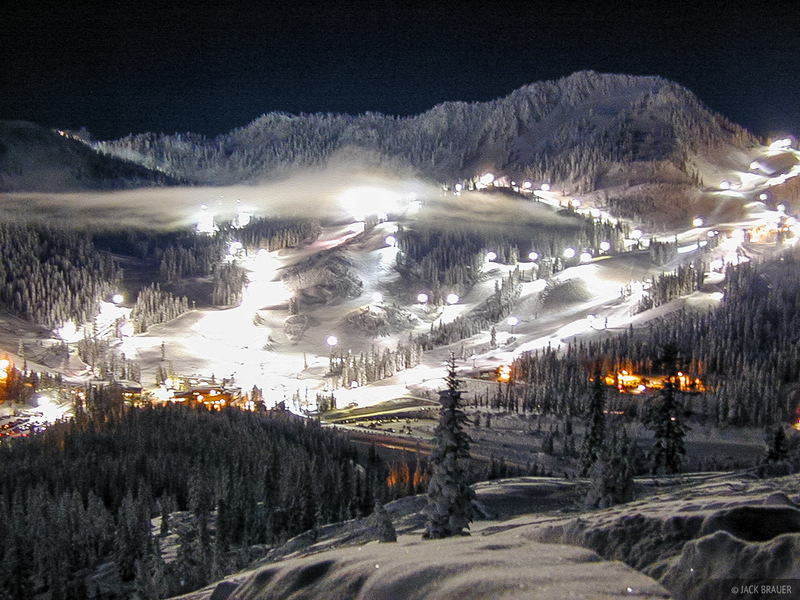 the night skiing lights at Stevens Pass on a fullmoon night - January. Photo © copyright by Jack Brauer. 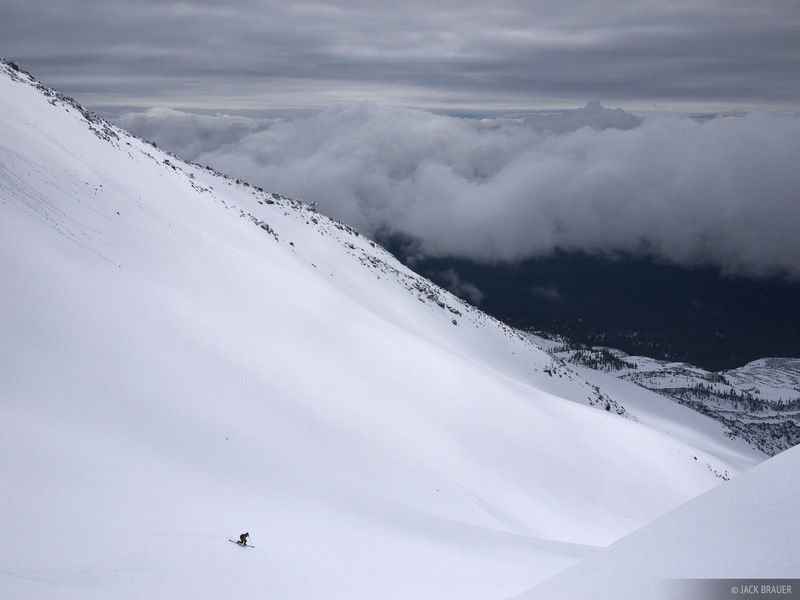 Scott McCurdy skis down Mt. Adams, a 12,276 ft. volcano in Washington - May. Photo © copyright by Jack Brauer. 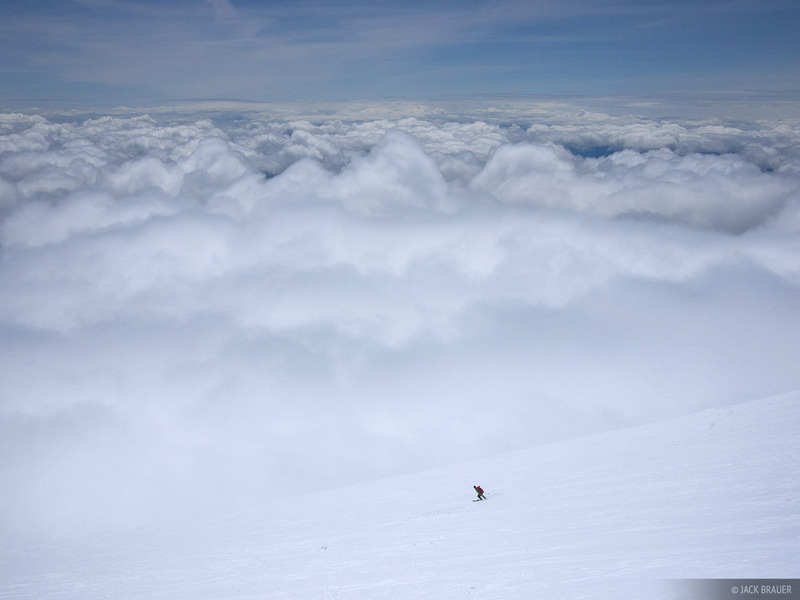 Skiing above the clouds on Mt. Adams, May. Skiier: Scott McCurdy. Photo © copyright by Jack Brauer. 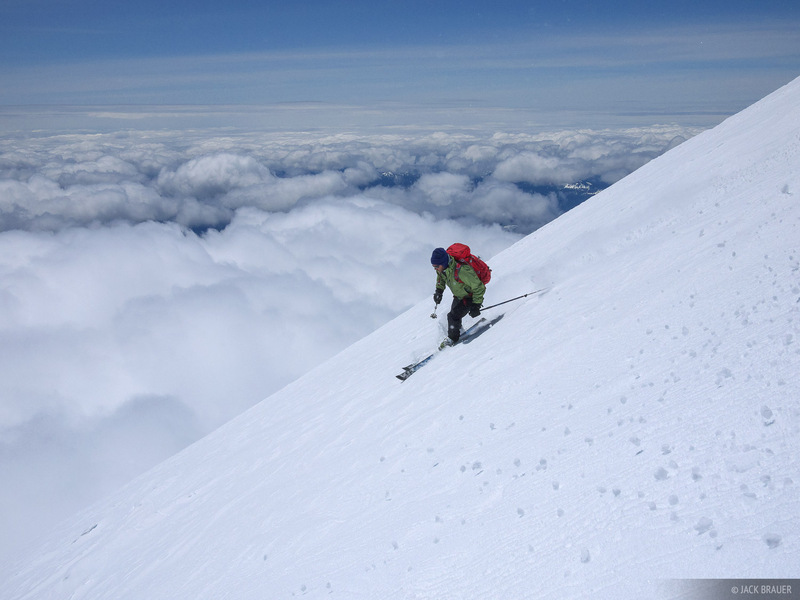 Skiing down Mount Saint Helens. Photo © copyright by Jack Brauer.